The TL has a good reputation for reliability and resale value, so it’s been one of the better sedans to lease at an attractive price. If the bold exterior is to your liking, the 2011 Acura TL is a solid luxury value—and the SH-AWD has true sport-sedan chops. While the 2011 Acura TL lays aim at some of the market's top sport sedans, it has very modest roots--essentially, building on the V-6 Honda Accord. That said, the TL is up to the task; it's a surprisingly well-rounded luxury sedan, with host of advanced tech features, and in top SH-AWD trim morphs into a complete and compelling sport sedan. 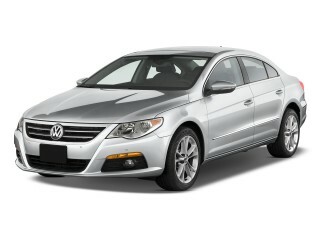 The TL has changed little since it was last completely redesigned, for the 2009 model year. Skinned with a high-tech but controversial look, the TL is, for many, a love-it-or-leave-it design. Still, heads swivel when the TL drives by. 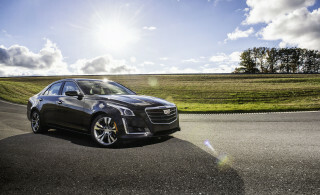 The more restrained mid-lux sedan owner may roll their eyes at its seemingly robot-inspired sheetmetal, but younger or more adventurous buyers will consider it refreshing. Acura does interiors well and the TL's cabin is nothing out of the ordinary. Circular themes wear synthetic and leather trim, and appear logical and artful. If you're looking at the TL because you're in the market for a well-rounded luxury sedan, you'll be happy with the standard 280-horsepower 3.5-liter VTEC V-6. The Accord uses this engine, too, and also shares its 5-speed automatic gearbox. 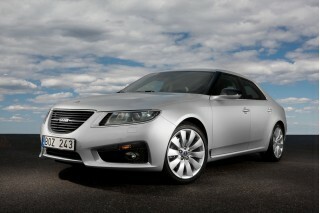 For enthusiasts, the only choice is the TL SH-AWD (Super Handling All-Wheel Drive). It has some of the feel of a true rear-drive sport sedan, thanks to a variable-split all-wheel-drive system and a strong V-6 with 305 hp, on loan from the bigger Acura RL. In addition to the automatic, you can get a manual on the TL SH-AWD. Working together with the stability control system and allocating torque not only front-to-back but left-to-right, the SH-AWD system is ideally suited to spirited driving and quick emergency maneuvers on the road. Even on rough-surfaced, rain-slicked pavement, we found the TL almost impossible to fluster. Thanks to its Accord roots, the TL has excellent passenger space front and back, with enough space for three adults in the back seat. The interior was appointed with supple leather and seats with generous proportions, giving good thigh support but not quite enough lateral support for serious high-performance driving. There's only one functional disappointment: With 13.1 cubic feet of space in the trunk, the TL is a bit short of some of its competition. Build quality is typically Acura, with solid materials and close tolerances, though there aren't as many options or upgrades as you'll find at brands like BMW, Mercedes, or Lexus. The TL's cabin also feels tight and free of wind noise, and even on the coarsest pavement surfaces we noticed very little road noise--definitely less than the M37 or Cadillac CTS. The big 19-inch wheels, however, give the SH-AWD a particularly rough ride over irregular surfaces, a problem not evidenced in the base model, which is more comfortable for most purposes. When it comes to showcasing a wide range of high-tech features, the 2011 Acura TL is at its best. Interfacing easily with a host of personal electronics, every TL comes with 8speakers, an iPod/MP3 interface, and an infotainment system with a big, crisp display. On the most expensive TL SH-AWD model, Acura fits its latest tech, including a rearview camera, a navigation system, keyless entry, and a surround-sound ELS audio system with 440 watts of output. A controversial snout is about all that’s not to like in an otherwise edgy yet functional sport-sedan design. Skinned with a high-tech but controversial look, the 2011 Acura TL has, for many, a love-it-or-leave-it design. Still, heads swivel when the TL drives by. The more restrained mid-lux sedan owner may roll their eyes at its seemingly robot-inspired sheetmetal (it's really the front end; the rest is very agreeable), but younger or more adventurous buyers may find it refreshing. Technophiles will find the TL's collection of digital creases and prominent prow a welcome change from the organic designs of competing sedans. While exterior styling is controversial--especially the snout--the interior feels like a home run. Neither derivative nor over-the-top, the smooth, swoopy design impresses as a smoother version of recent Acura and Honda designs, especially with respect to the instrument panel. While the twin-cockpit design couldn't be pulled off functionally in a compact sedan, the TL's generous size allows it. Gentle arcs and circles predominate, beautifully melding leather and synthetic, analog and digital in an artful yet logical way that is uniquely Acura. Unfortunately, Acura chooses the cold, harsh light of white/blue LEDs for the TL's overhead illumination. While the 2011 Acura TL isn’t downright inspirational for enthusiasts, it’s surprisingly eager and athletic in TL-SH guise—especially if you go for the six-speed stick. If you're looking at the TL because you're in the market for a well-rounded luxury sedan, you'll be happy with the standard 280-horsepower 3.5-liter VTEC V-6. 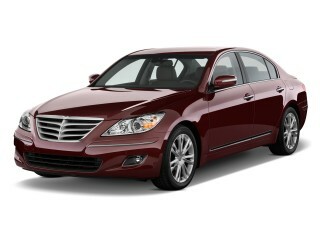 Also found in the Accord, the engine teams with a 5-speed automatic to drive the front wheels. Performance fans will skip this version, of course, and step into the TL SH-AWD. 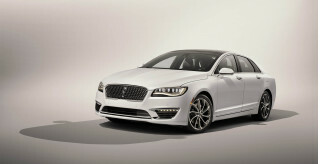 It has the same V-6 engine found in the Acura RL, a 3.7-liter unit with 305 hp. Power goes to all four wheels through a system that can shifts power between its axles, giving it more of a sporty feel like its rear-drive rivals. In addition to the automatic, you can get a manual on the TL SH-AWD. The automatic, though smooth and responsive enough in sedate driving, is a cog short of its competition and responds too slowly in aggressive driving. Both engines are smooth, sweet-sounding, and responsive, but the Super Handling All-Wheel Drive (SH-AWD) system, with the more powerful 3.7-liter V-6, brings out the sport-sedan character in the TL. Working together with the stability control system and allocating torque not only front-to-back but left-to-right, the SH-AWD system is ideally suited to spirited driving and quick emergency maneuvers on the road. Even on rough-surfaced, rain-slicked pavement, we found the TL almost impossible to fluster. Power steering is one of the TL's strengths, even though it's an electric-driven setup. At low speeds it's responsive and light, with good on-center feel. It dials in more heft at higher speeds, without losing any of its good steering feel. The Acura TL SH-AWD is powered by a 3.7-liter V-6, making 305 horsepower and 273 pound-feet of torque; but that peak torque doesn't happen until 5,000 rpm; the engine doesn't have surprising gobs of low-range torque like BMW's twin-turbo six, and it doesn't quite whirl itself into the heavy-breathing frenzy of the Infiniti G37's V-6. But overall, it's a solid performer in the mid- to upper-rev ranges--and much better-suited to the manual transmission than we remember it being with the six-speed automatic. You'll find excellent passing ability but it sometimes requires downshifting two, even three, gears to make the best dash; but fortunately the shift action is nice and neat. With the manual transmission, the 3,889-pound TL SH-AWD can get to 60 mph in the mid five-second range. That's a slight bit slower than the G37 but a bit faster than the automatic TL. The 2011 Acura TL has more passenger comfort and functionality than most other luxosedans this size—plus a tight, high-quality feel. Thanks to its Honda Accord roots, the TL has excellent passenger space front and back, with enough space for three adults in the back seat. The interior was appointed with supple leather and seats with generous proportions, giving good thigh support but not quite enough lateral support for serious high-performance driving. There's only one functional disappointment: With 13.1 cubic feet of space in the trunk, the TL is a bit short of some of its competition. Acura does its usual fine job here assembling the TL. There aren't as many options as in rival vehicles, but the materials are solid and tolerances are tight. 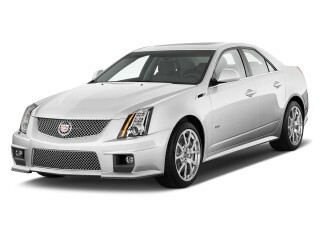 Low in wind noise and solid in feel, the TL doesn't have as much ambient road noise in its cabin as vehicles such as the Infiniti M37 or Cadillac CTS. That's for the base model; TL sedans with the 19-inch optional wheels not only have a tougher ride, they're more noisy, too. Although the TL hasn’t been put through some of the latest federal crash tests, it’s by most accounts a very safe sedan. The 2011 Acura TL is up near the front of its class in safety, with all the expected safety features plus a good performance in crash tests. In testing from the Insurance Institute for Highway Safety (IIHS), the Acura TL has earned top 'good' scores in frontal, side, and rear impact tests, but it hasn't yet been tested in the IIHS's new roof strength test. And while it hasn't at all been tested in the revised testing and scoring procedures from the federal government for 2011, it got a top five stars in both major categories last year from NHTSA. 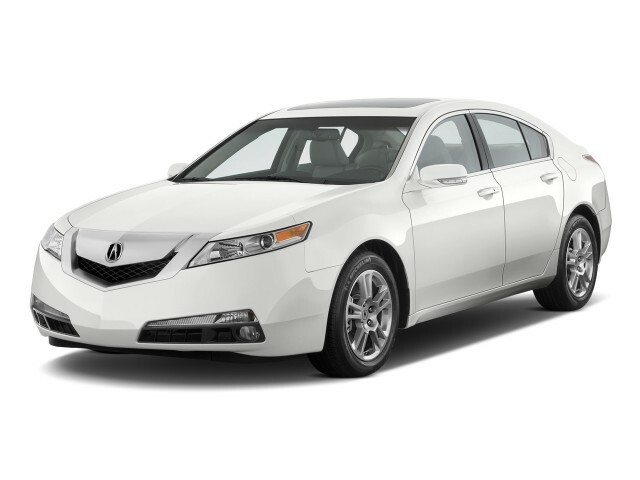 Electronic stability control comes standard in the 2011 TL, and Acura equips all TLs with a full complement of six airbags, including front side airbags and full-length side-curtain bags. Outward visibility, compared to that of other sport sedans, is quite good in the 2011 Acura TL, and rear headrests can be flipped out of the way when no one is riding back there. A rearview camera system is available. 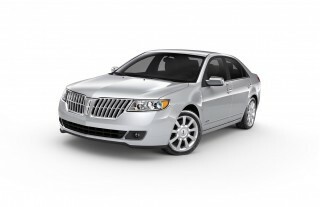 The 2011 Acura TL offers most of the tech wizardry of rival models, but the interface has a learning curve. When it comes to showcasing a wide range of high-tech features, the 2011 Acura TL is at its best. Interfacing easily with a host of personal electronics, even the base TL features a standard USB iPod/MP3 interface, an eight-speaker audio system, and a crisp, high-resolution center-mounted display for controlling the infotainment system. Sound quality is good in base form, thunderous with the ten-speaker optional upgrade. Despite the ease of use, all this gadgetry does necessitate a fair number of buttons, particularly on the steering wheel, meaning the owner's manual may be your best friend for the first few weeks. Once you're familiar with the controls, audio, navigation, Bluetooth hands-free phone operation, and voice commands are all at your fingertips. Going up the scale, the top SH-AWD model sure can seem pricey. At $43,195 as equipped, with the Tech Package, the last SH test car our editors drove included a navigation system with live traffic, weather, and rerouting; a rearview camera; solar-sensing temperature control, keyless access, and an upgraded 440-watt Acura/ELS surround sound system.But it's all relative; equip the 5-Series or E-Class with some of these features and it costs thousands more. The 2011 Acura TL is about as green as you’d expect for a mid-size, V-6 luxury sedan that doesn’t have any hybrid tech on board. The 2011 Acura TL doesn't get much better--or worse--mileage than you might expect from a somewhat heavy sedan with a V-6. Front-wheel-drive 2011 Acura TL models get 18 mpg city, 26 highway. With either the six-speed manual gearbox or five-speed automatic transmission, the all-wheel-drive versions of the TL achieve an EPA-rated 17/25 mpg. But, as our editors have experienced in a longer drive of the TL, you might be surprised to find your results in the upper end of the range. In about 400 miles of cold-weather driving--about two-thirds of it on the highway, but most of it taking advantage of the TL's engine--we averaged nearly 23 mpg, which is better than we would have seen from most other mid-size luxury sport sedans. Looking for a different year of the Acura TL?